This tutorial explains how to create simple swiper slider layout in react native application. Now a days this kind of swiper slider layout design used by most of the android or ios mobile application. If you own a smartphone, you already know what a gesture is. Gestures are those subtle motions to trigger interactions between the touch screen and the user. Generally, it lasts for the time between the first touch on the screen to the point when the finger leaves the surface. Using this Swiper layout design we can switch back and froth between previous and next page of your mobile application. 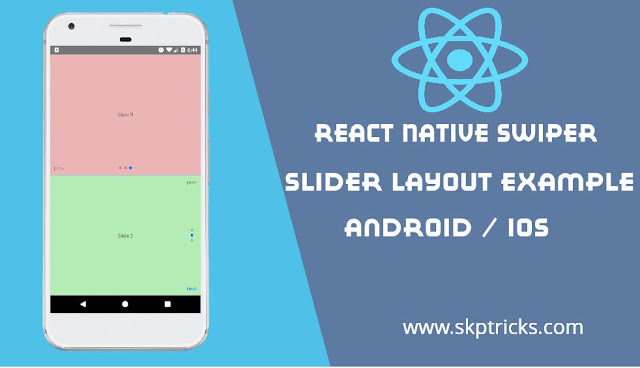 In this example we will create simple swiper slider layout example in react native application. Using this Swiper layout design we can switch back and froth between previous and next page of your mobile application. Step 2 : Install the install react-native-web-swiper package in your React Native project. Refer the below screenshot, while installing react swiper slider layout package. Once installation complete check you package.json file in react native application. You will find React Native swiper slider layout package installed in dependencies section. Step 3: Open App.js File in your favorite code editor and erase all code and follow this tutorial. Step 4: Through react , react-native packages import all required components. Step 5: Open App.js component and and Implement render method. Apply the below code inside the render block of your App component. 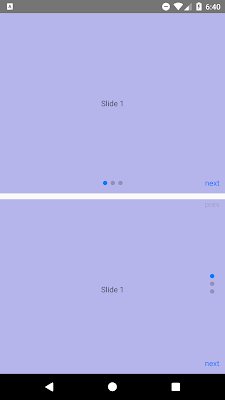 Step 6 : Apply the below style sheet design. Lets see the complete source code that helps to create simple swiper slider layout example in react native application, with help of that you can perform swipe left and right and see the next screen of your android or ios screen. 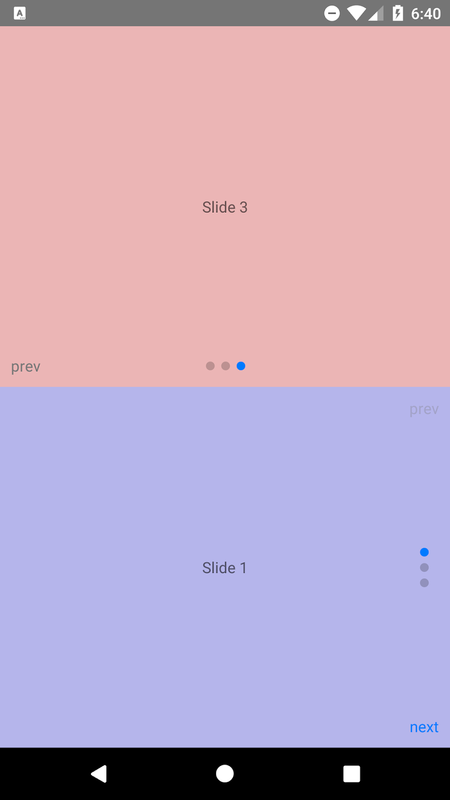 This is all about simple swiper slider layout in react native application. Thank you for reading this article, and if you have any problem, have a another better useful solution about this article, please write message in the comment section.